Our one day snorkel trips costs $119.00 per person which includes all rental gear and 4 hours snorkeling from a boat in the John Pennekamp Marine Sanctuary. You will get to snorkel at two different reef locations on the one trip. Children 8-15 are welcome when accompanied by a parent or guardian. Children 16-18 must be accompanied by a parent/guardian OR obtain written permission prior to the trip. Sorry, no children under 8 are allowed on any of the boats. Total trip duration including ground transportation to and from Key Largo is 10:30am to 7:00pm. Transportation is offered at no charge based on space available. Guided two tank / two location dives including tanks, weights and transportation to and from the boats are $129 to $149 depending on the destination. Spiegel Grove trips and night dives are $10 additional. Divers age 10 to 15 must be accompanied by a parent or guardian. Divers 16-17 must be accompanied by a parent/ guardian OR obtain written permission. All of our dive trips are guided. Should you want a private guide, we have them available by request for an additional fee on almost every trip. 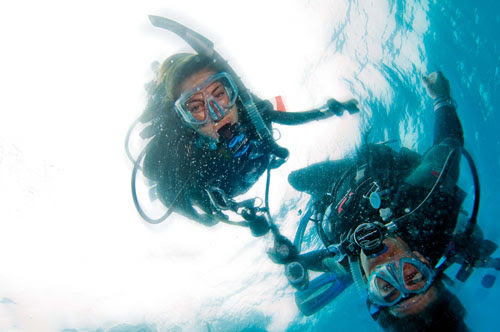 You are required to have or rent a dive computer on all dives to 100′ or deeper. There is a captain and crew on board at all times to supervise the diving and snorkeling activities from the boat. To see our calendar (which has all the information on times, prices, rental and guides etc) and to make your reservations, please click here. If you would like to try Scuba Diving but don’t have a Scuba license then this program is for you. We offer this every Monday, Tuesday, Thursday and Saturday year round. The morning starts with a classroom presentation and video and then off to the pool to learn the basics of scuba diving. After mastering some basic skills in the pool, you will head to Key Largo where you get to enjoy two open water dives in the world famous John Pennekamp Marine Sanctuary. For more information on this program please click here. We offer round trip transportation from our store in South Beach to the boats in Key Largo at no charge. Transportation must be requested at the time of the reservation. Many customers prefer to drive their own vehicles to the Keys and enjoy some food, drinks and sunset prior to returning to Miami Beach. We will give you directions at check in. Drive time to Key Largo is 1hr 20min each way. There are tolls each way (about $5) so be sure you have a Sunpass in your car or you will be billed to your license plate with surcharges. There are no more cash toll plazas. Street parking in Miami Beach is very expensive ($4/hr). If you are arriving by car and will be parking it for the day we recommend the parking garage on 7th st between Washington and Collins Ave. You can drop your gear off at the shop before you park. South Beach Dive and Surf exclusively recommends the Generator Miami for all our clients. Completely remodeled in 2018, Generator Miami embraces its original design aesthetic, fusing old American glamour with a taste of Cuban spice and contemporary elements making it the perfect backdrop for your experience-led stay. The The Jim and Neesie Bar and Restaurant is one of the best eats in Miami Beach. Private rooms start at $125 and share rooms start at just $25 including breakfast. As an added bonus, we offer free pick up and drop off to all Generator Miami guests!! What could be better? If you will be doing the Discover Scuba program with us, you can meet us by the pool in the morning and skip having to come to the dive shop so early. Please click this link and be sure to enter the promo code SOBEDIVE for extra savings off their already low prices. All our boats have a large cooler with ice for you to store your food and drinks in and fresh drinking water. Most the boats have pretzels or fresh fruit but it is best to bring your own food to be sure. When you ride with us to Key Largo, we stop at a Subway sandwich shop to grab lunch. Next door to this Subway is a Dunkin Donuts, a mini mart and Mc Donald’s if your prefer. Most customers tend to get a large sandwich and eat half there and take the other half to the boat for later. You may bring and consume alcoholic beverages if you are over 21 and have finished diving or snorkeling for the day. You will not be allowed back in the water after drinking alcohol. Pre-pay for 5 trips (10 dives) and save 10% or 10 trips (20 dives) and save 15%. 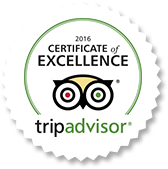 Multiple dive packages are non refundable or transferable and must be used in one year. Florida sales tax is 7% and will be added to all charters, classes and sales. Night Dives and Spiegel Grove trips have a $10 surcharge. Private charters are available 7 days a week. A half day (4 hours) private charter includes your own boat, captain and crew. Gear, guides and instruction if needed are additional. Charters range from $950 to $1,500 plus gear and equipment depending on the day of the week and size of the boat. We require at least 24 hours notice prior to the check in time to change your reservation with no fee or cancel your trip for a full refund. There will be no refunds, full or partial, for trips cancelled within 24 hours, or if you do not show up. If WE cancel your trip to due weather (wind, not rain) you will receive a full refund. Keep in mind that South Florida is a tropical environment and afternoon thunderstorms are common in the summer. These storms are usually isolated and move on quickly and will not cause us to cancel a trip. Special trips such as shark dives, private charters and group trips require 7 days notice to cancel. Discover Scuba and Refresher classes require 72 hours notice to cancel for a refund or to reschedule without a fee. All Scuba certification classes are non refundable. Single Dives: A minimum preflight surface interval of 12 hours is suggested. For Dives Requiring Decompression Stops: A minimum preflight surface interval greater than 18 hours is suggested. On our Key Largo trips, you are out of the water by 4pm. According to the above guidelines you are able to safely fly as of 10am the following day. There is no wait needed to dive AFTER flying.